In Celtic myth, Oisín (sometimes Ossian) was the Gælic warrior-bard of the 7th century who sought the land of youth – a magical island off the western coast of Ireland. Today Oisín Biotechnologies is working to make the myth a reality. Oisín Biotechnologies' ground-breaking research and technology is demonstrating that the solution to mitigating the effects of age-related diseases is to address the damage created by the aging process itself. We invite you to see how. When cells detect that they have been irreversibly damaged, they enter a non-dividing condition known as cell-cycle arrest, or senescence. It’s believed this occurs to prevent cells from going rogue and turning cancerous. Ideally, they should die by the process known as apoptosis, but as we age, more and more frequently they don’t. They become zombie cells – unable to kill themselves or resume normal function. Senescent cells secrete molecules that cause inflammation in an effort to attract immune cells that would usually clear them. But for reasons that are not fully known, as we age, persistently senescent cells accumulate, leading to a vast number of age-related diseases. There are two major challenges to clearing senescent cells using our approach. First is to design and create the DNA construct that recognizes that a cell has become senescent, and then destroys it. Second is to safely and efficiently deliver this construct into cells throughout the body. Both goals have been achieved in our pioneering proof of concept experiments in 2016. We’ve first demonstrated the ability to transduce cells both in vitro (cell culture) and in vivo (in aged mice). Then we showed that p16 positive senescent cells can be killed on demand in both in vitro and in vivo environments. Now we are embarked on experiments that will show improvements in both healthspan and lifespan in model organisms from mice to primates. And then, everything changes. Our proprietary technology gives persistently senescent cells a helping hand to “do the right thing." By providing an exogenous apoptotic gene, which is only transiently expressed in cells that already have the p16 gene active, we can precisely induce the senescent cell to commit suicide. 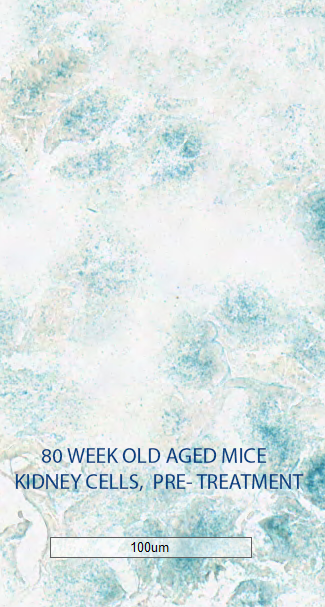 Oisín has shown as much as an 80% reduction in senescent cells in cell culture and significant reductions of senescent cell burden in naturally aged mice. *SENSOlytics™ is an Oisín proprietary platform technology that enables precise targeting of a senescent cell based on the DNA expression of the cell, not on surface markers or other characteristics that might be shared with normal, undamaged cells. Gary Hudson is Executive Chairman and co-founder of Oisín Biotechnologies. Mr. Hudson is also active in several non-profits focusing on age-related disease. He provided seed funding for the SENS Research Foundation which is transforming the way the world researches and treats age-related disease. He is a major donor to and serves as an advisor to the Methuselah Foundation, dedicated to extending the healthy human lifespan by advancing tissue engineering and regenerative medicine therapies. Prior to Oisin, Mr. Hudson has worked extensively in the field of commercial space successfully starting and growing several companies. He is best known as the founder of Rotary Rocket, which built a landing test simulator for a reusable rocket that flew three successful flights in 1999. He has won several awards during his career including Laurel Award from Aviation Week and Space Technology, the Founder’s Award from the Space Frontier Foundation and was inducted into the International Space Hall of Fame in 2014 for his contributions to the field. Mr. Hudson currently is the President of the Space Studies Institute, a non-profit dedicated to commercial space flight and human space travel. Matt is Chief Executive Officer and co-founder of Oisín Bio. 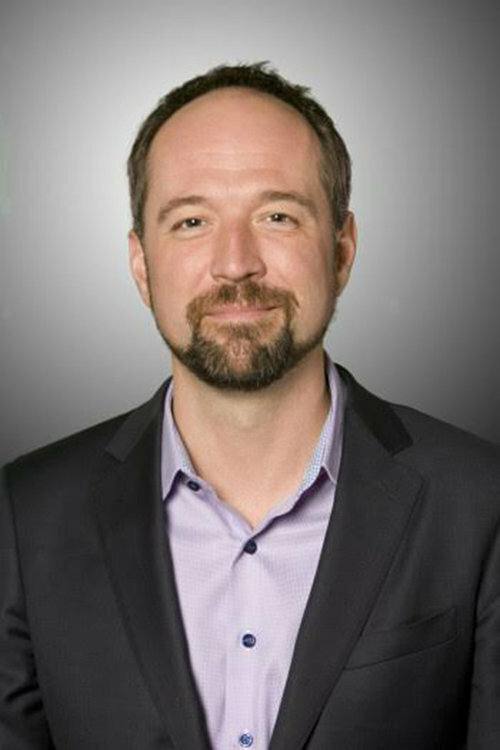 A serial entrepreneur with a background in computer security and immunology, Matt is also the founder and CEO of Immusoft, a biotech firm developing a breakthrough technology that will turn a patient's B cells into miniature drug factories. 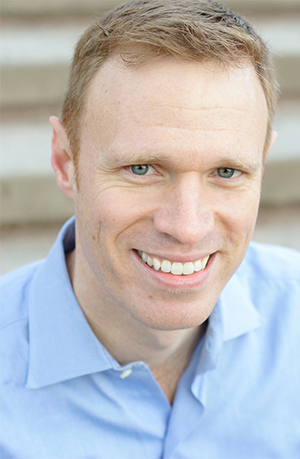 Matthew speaks and presents regularly to university, association and scientific audiences, including those at his alma mater, the University of Washington. He served for several years as a mentor to recipients of the Thiel Fellowship, a program that awarded grants to some of the world’s brightest scientific minds under age 20. Dr. John Lewis the co-founder of Oisin Oncology and heads its cancer-fighting platform technology development and clinical research. Dr. Lewis also holds the Frank and Carla Sojonky Chair in Prostate Cancer Research at the University of Alberta. He is an Associate Professor in the Department of Oncology and chairs the Alberta Prostate Cancer Research Initiative. Dr. Lewis has also founded three Canadian biotechnology companies. 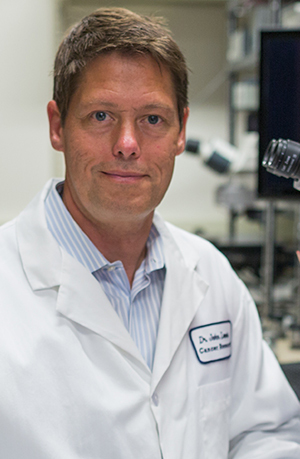 Dr. John Lewis’s research interests lie in the areas of nanotechnology and imaging as they relate to the development of novel treatments for chronic diseases such as aging and cancer. 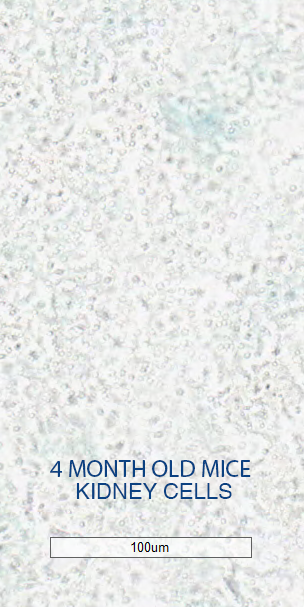 Because no man dies of prostate cancer that stays in his prostate, the group is studying the spread, or metastasis, of cancer using advanced live imaging techniques. The group has used this approach to identify key drivers of metastatic cancer progression, and is leveraging this information to develop novel nanoparticles to block the spread of prostate and other cancers. Dr. Lewis is also the founder of several startups focused in the areas of LNP production. Mr. Hilbert heads up corporate development for Oisin Biotechnologies. He has served as a business advisor to Oisin since its inception and has served on several biotechnology company advisory boards specializing in business strategy and capital formation. Prior to Oisin in the Biotech space, Mr. Hilbert has served as corporate advisor to Immusoft and Kineta where he most recently served as VP of Corporate Development. His career spans over 10 years in biotech advisory and 18 years in the banking business where he served as trusted advisor creating investment strategies and structures for accredited investors around the globe. 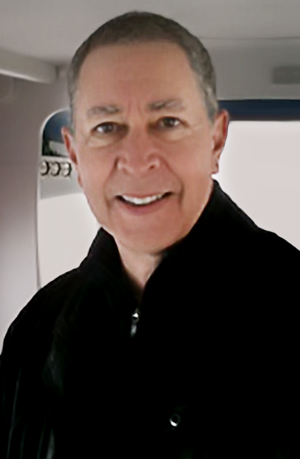 Mr. Hilbert is the founder of several ventures including real estate, small manufacturing, and strategic consulting. Civically he is involved with Overlake Hospital’s Pulse Board, assists with Children’s Hospital Guild and is the Chairman at the Columbia Tower Club, a member’s club in Seattle. What Gives Oisín an Edge? Our Chief Science Office, John Lewis, PhD, offers a window into our technology and some of our findings in Berlin, Germany, at Undoing Aging 2018. We invite you to listen to the presentation and get excited about Oisín's present and future! Get to know a bit more about Oisín via the latest interview with our CEO, Gary Hudson. In the interview you will read about the progress of our company, current initiatives, and how the science is shaping Oisín into a venture with innumerable opportunities, such as our newly established Oncology Company. We invite you to read the meeting slides that we presented in Montreal, Canada at the International Cell Senescence Association Conference that took place on July 8-11. This document is titled: "Selective Ablation of Senescent and Malignant Cells Using Apoptotic Gene Therapy" and contains scintillating data from some of our on-going studies. Oisin Biotechnologies' web site is provided as a service only. The site is not intended to provide specific investment advice and investors and potential investors are advised to seek professional advice. The site's contents may not always be the most current source for Oisin Biotechnologies information, although updates will be made frequently. The site is also not intended to provide any specific tax advice, nor to provide anyone with specific medical, pharmaceutical or therapeutic advice. A visitor seeking information or advice for the treatment of a medical condition should review any information on the site with his or her individual physician or medical practitioner. This site may contain forward-looking statements. Although Oisin Biotechnologies believes that the forward-looking statements contained herein are reasonable, it can give no assurance that Oisin Biotechnologies expectations are correct. All forward-looking statements are expressly qualified in their entirety by this Cautionary Statement. This document should not be considered the official disclosure document of Oisin Biotechnologies. Although Oisin Biotechnologies has taken reasonable precautions to prevent unauthorized entry and alterations of its web site, no system is fool proof. Therefore, Oisin Biotechnologies assumes no responsibility with respect to any computer viruses, destructive programs or unauthorized content that may be inadvertently downloaded from, or purposely inserted into, the web site. For purposes of this Agreement, “Service” refers to the Company’s service which can be accessed via our website at www.oisinbio.com or through our mobile application. The terms “we,” “us,” and “our” refer to the Company. “You” refers to you, as a user of Service.